Toodaloo Katie: #2Plus2 - Taking Shape Gets Hotter! #2Plus2 - Taking Shape Gets Hotter! I am going to start this #2plus2 post with a little disclaimer, as I think it needs to be said. When Hollie and I were asked to go to the Taking Shape store in Kingston we both hesitated and had a good chat about it. For those of you that remember, Taking Shape ran a social media campaign during London Fashion Week called #SkinnyBirdWatching which screamed all sorts of horrible body shaming shrieks and caused a lot of upset for a very good reason. It was a very bad decision made by the PR company at the time and really turned me off the brand. When the opportunity to visit the store came about, Hollie and I decided that we would give them a second chance as they had ditched their PR, and hired a new one, and their staff, were nothing but lovely, supportive women so we shouldn't lump them all together. I am glad we gave them another chance as a visit to the store proved that the experience the staff want you to have is one that makes you feel good, and that you leave feeling lifted and with a new wardrobe. The women in Taking Shape want everyone to feel welcome and really don't support any kind of body shaming - they want to see the brand grow and support other plus size women, so I am happy to say that we can move on from the past indiscretion and that one PR move has not made a brand. Anyways, as soon as we arrived at the store, we were welcomed and given a drink and a few nibbles before browsing. We headed upstairs and started pulling out different things we wanted to try on. The ladies in the shop were super helpful and made sure we were taken care of during the entire time. Taking Shape's style is a little more mature than what I would normally go for, but they do have lots of options and I did find a few gems which I will be sharing in an outfit post in the next week or so. For basics, their leggings and Easy Breezy Shorts ( for under skirts) are awesome. They also have cool cardigans and tunics too! 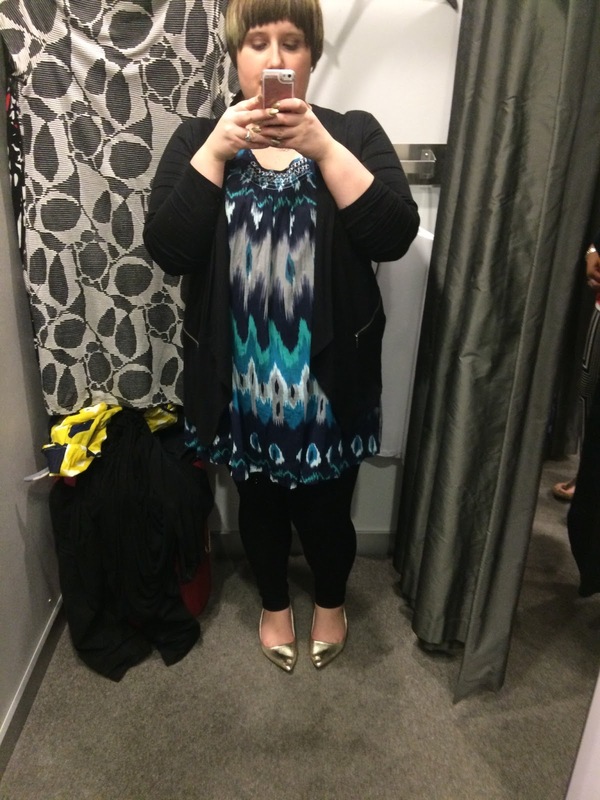 Hollie snagged a pretty epic pair of trousers, but you will hear all about those in another post! We spent ages trying bits on and coming out and showing them off to all the lovely staff, who gave us sizing advice and were super helpful. 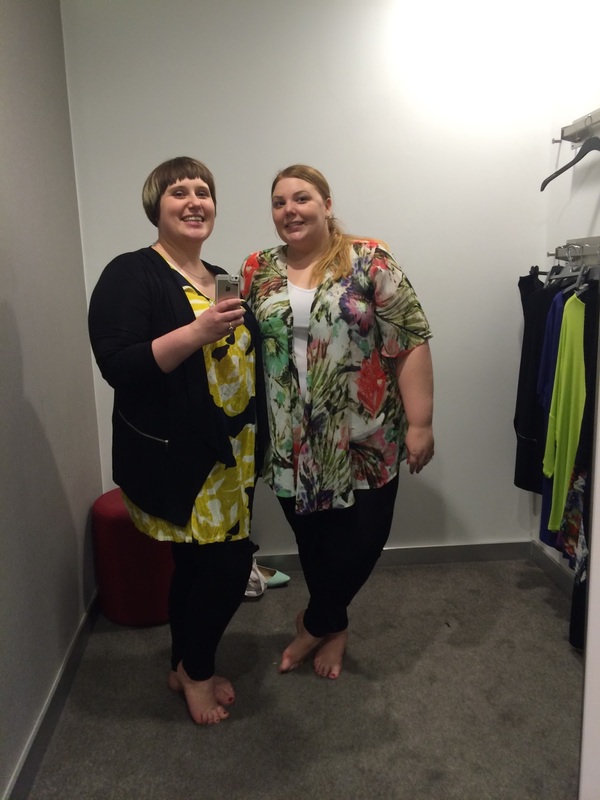 We chose an outfit each that looked super cute - Hollie went for a casual Summer look and I went for my favourite tunic and legging combo. Once we had all our goodies packed up, we were ushered over to the Hotter Shoes store a stones throw away to have a browse and pick a pair of shoes and a handbag. This was new for me, as I hadn't tried Hotter before but I was pleasantly surprised. 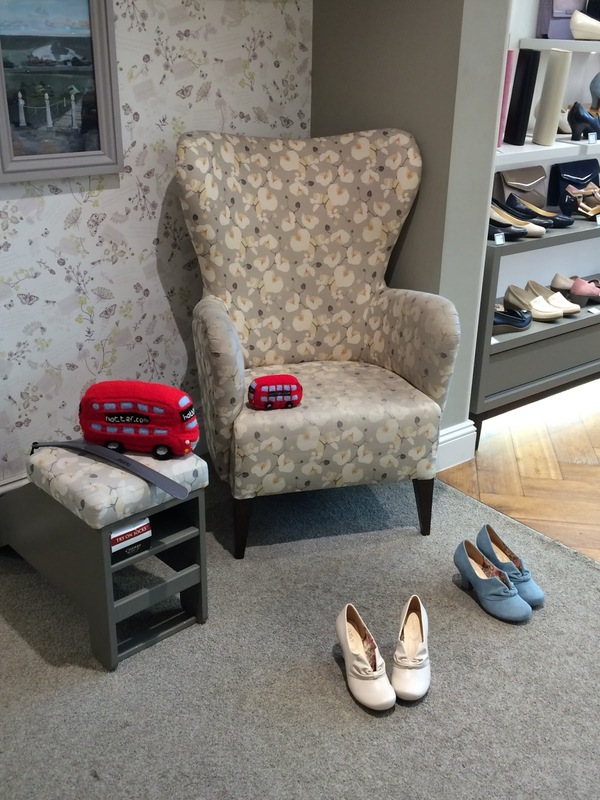 The shop felt like a lovely, welcoming living room with comfy chairs and soft rugs, surrounded by loads of shoes. 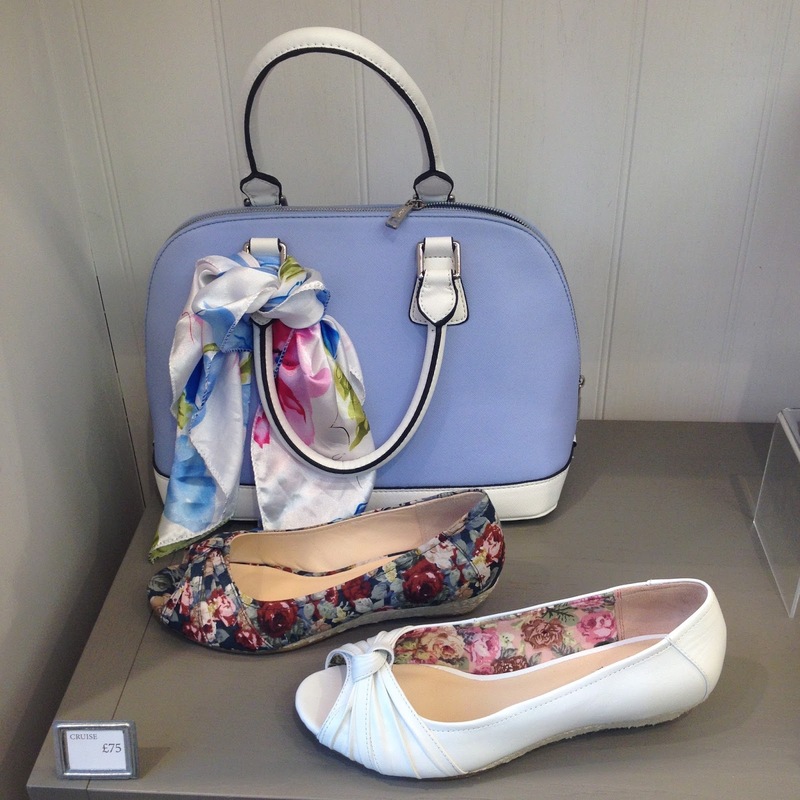 Hotter is the kind of shop that you find styles for everyone - they have gorgeous heels with a vintage feel, cute summer sandals, wedges and little trainers too. They also carry comfortable work shoes and a few more mature styles as well. I chose a pair of blue Donna heels that I can't stop talking about - they are such a good fit all around and support my foot so well. I can imagine standing in them without issue for long periods of time which is really nice. I will be sharing them in an outfit post soon. Hotter really prides themselves on providing good service and making you feel at home. We didn't feel rushed and the lovely staff helped us choose our handbags and let us indulge in checking every single one out in the mirror. They also include the necessary care products for your shoes, like a suede protecting spray or shoe cleaner depending on the type of shoes. Hotter Shoes have very kindly given you, my lovely readers a code for 10% off your first order (of any full value items) with free shipping - use PMATEN ! Get involved and try them out! So a massive thank you to Taking Shape and Hotter Shoes in Kingston - you have really wowed us and this #2Plus2 post was a massive success as we have welcomed two new bands into the family! Thanks for the wonderful experience - I'm sure you will see us back again soon! 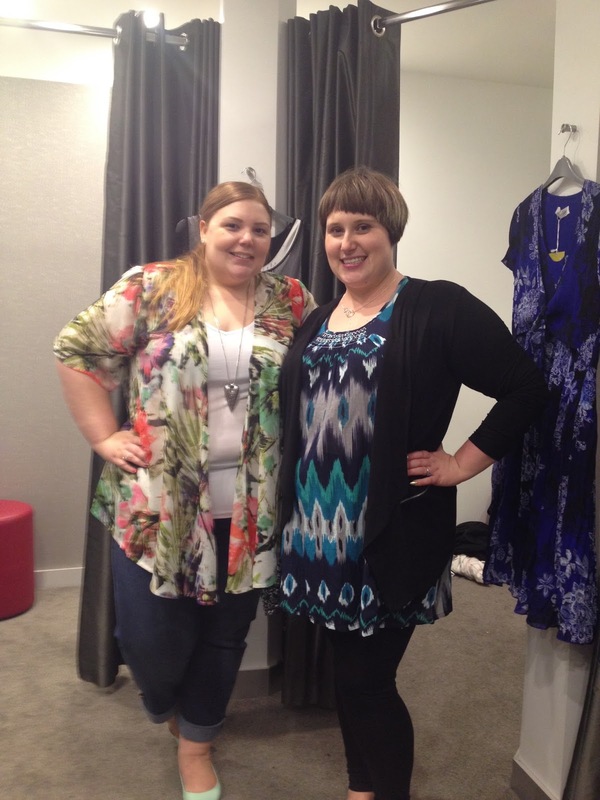 Be sure to visit Hollie over at Pretty Big Butterflies to see her post!